One thing is certain: Swedenborg himself had nothing to do with it  neither with the late 18th century Rite that has come to bear his name, nor with its bizarre successor that is the subject of this paper. But in order to understand that Rite it is essential to know something of the man, of his work and of the religious movement that grew out of it. Emanuel Swedenborg was born at Stockholm in 1688, the son of Jasper Swedberg, at that time a Professor of theology at Uppsala University and later, from 1702, Bishop of Skara (The name was changed when the family was ennobled in 1719). From 1716 to 1747 Swedenborg was an Assessor in the Royal College of Mines of Sweden, but he was more than simply a metallurgist and mining engineer. By any standard Swedenborg was a polymath: fascinated equally by the natural world and by human invention he not only wrote learned treatises on every aspect of the physical and natural sciences, and on currency and economics, but also designed mechanical devices as diverse as a fire-engine, machine-gun, flying-machine and submarine. But in 1744 there came a turning point in his life. He had for some years been attempting to demonstrate through his scientific studies that there was a spiritual underpinning of the material universe  an attempt that culminated in a spiritual crisis when he felt that 'That there was a change of state in me into the heavenly kingdom, in an image'1 . This he believed enabled him to hold conversations with angels, to receive divine revelations as to the true meaning of the Scriptures, and to undertake a divine commission to publish the 'Heavenly Doctrines' revealed to him and to make known to mankind that the Second Coming would soon take place, in 1770, and the New Jerusalem be established in the spiritual world. For the next twenty-five years until his death in London in 1772, he was the complete theologian, writing extensively and assiduously to expound and defend his doctrines2. His works attracted a small but enthusiastic following and some years after his death their activities were crystallised in the form of the New Jerusalem Church, a denomination that has survived to the present day, although it has remained a small body with a worldwide membership of some 25,000. Swedenborgs ideas, however have had a greater effect in the secular world, influencing individuals as diverse as Blake, Balzac, Emerson, Yeats, and D. T. Suzuki. A detailed discussion of those ideas, and of Swedenborgian theology in general is beyond the scope of this paper but certain aspects must be noted in order to make sense of the Swedenborgian Rite. For Swedenborg the physical world is the result of spiritual causes, and the laws of nature are reflections of spiritual laws; thus objects and even the material world are images of their spiritual counterparts. This is his doctrine of 'correspondences'. From this derives the other notion that concerns us: the idea behind the literal, historical meaning of the scriptures is an inner, spiritual sense  which sense is drawn out for all to see in Swedenborgs expository works. And it was a fascination with those expository works that led to the first creation of a masonic Rite of Swedenborg. If any of the many 18th century manufacturers of Rites and Degrees deserves the title of creator of the swedenborgian Rite' it is Dom Antoine Joseph Pernety (1716 - 1796). At the age of fifty Pernety left the Benedictine Order and settled at Avignon where he redirected his alchemical enthusiasm into masonic channels and allegedly created a 'Rite Hermetique' that reflected his interests. From Avignon he moved to Berlin where he became librarian to Frederick the Great and began to translate the works of Swedenborg into French3 . a blend of Swedenborgianism and Roman Catholicism, salted with occultism. To the cold intellectualism of the Swedish visionary was added the veneration of the Virgin Mary and recital of the Athanasian creed; while individual members studied Renaissance alchemy, the theurgy of Alexandria, hermetic authors, the philosophers stone, the divine science of numbers, and the mystical interpretation of dreams4. most solemnly introduced to what was called the actual and personal presence of the Lord; which, it appears, was effected by the agency of a comely and majestic young man, arrayed in purple garments, seated on a kind of throne or chair of state, in an inner apartment decorated with heavenly emblems6. Neither Bryan nor Wright was familiar with Freemasonry and their account may have been a garbled perception of the exotic trimmings that tended to accompany most of the 'hauts grades' of the time. These bizarre activities of the Illumines d'Avignon came to an end with the upheavals of the French Revolution, but although English Swedenborgians in general had been hostile to them this was because of their perceived blasphemy, not because of any hostility to Freemasonry per se: Benedict Chastanier, for example, was not only a leading light of the Swedenborgians of the 1780s but also a most active mason. Their teacher, however, was not. It is unusual to find such diverse authorities as A. E. Waite, the Revd. A. F. A. Woodford, and H. W. Coil agreeing on matters of masonic history, but on this issue they are at one. 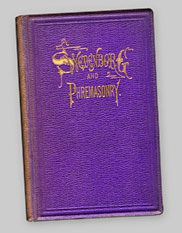 Woodford states bluntly, 'we deny that Swedenborg was a Freemason'; while Coil is equally positive: swedenborg was not a Freemason and at no time, had any connection with or gave any attention to the Society'. Waite, for once, is both clear and concise on the question: '[Swedenborg] connects with Masonry only in a mythical sense. There is not the least reason to suppose that he belonged to the Order'7. A detailed refutation of claims to the contrary is give by R. L. Tafel in his Documents concerning the Life and Character of Emmanuel Swedenborg, (1875), Vol. 2, pp. 735 - 739, and the only contemporary scholar to argue in favour of Swedenborg having been a freemason, Dr. Marsha Schuchard, has yet to produce any satisfactory evidence8. But non-membership of the Craft does not imply the absence of a relationship of some kind: the episode of the Illumines d'Avignon is clear evidence that Swedenborg had an influence upon Freemasonry, albeit unknown to himself; or, in Mackeys words: 'it was the Freemasons of the advanced degrees who borrowed from Swedenborg, and not Swedenborg from them9. It would, however, be the best part of a century before they borrowed again. In the interim those Swedenborgians who were drawn to Freemasonry were quite content with the Craft degrees10. Discontent, if such it was, did not surface until 1870 and the publication at New York of an extraordinary masonic book: Swedenborg Rite and the Great Masonic Leaders of the Eighteenth Century. If this did not quite fall, like Humes Treatise, stillborn from the press', it gained little notice and made no impact at all on the American body masonic. The same cannot be said for its author, Samuel Beswick, and his affect on the Swedenborgian Church. Samuel Parr Beswick was not American but English, and his chequered career began at Stockport, near Manchester where he was born, of Swedenborgian parents, on 11th December 1822. This much is certain; from then on almost everything about his life in England involves contradictions and conjecture. At this time I was also a pupil of Dr. Dalton, the celebrated author of the atomic theory, and I had the pleasure of introducing Swedenborgs work on chemistry to his attention which he thought a singular but wonderful work. But he had then got to be too childish in his old age to say anything worth placing on record, excepting that he regretted he had not seen it years ago11. Dalton died in 1844 and twenty years later it was impossible to prove  or to disprove  Beswicks statement. That he had some scientific aptitude is certain, for in 1850 he joined the British Association for the Advancement of Science on the recommendation of the physicist J. P. Joule who was a student of Dalton. There is a similar lack of proof for many other claims made either by him or on his behalf. Thus his son, Charles Albert Beswick, stated in an obituary (New Church Messenger 29 July 1903, p. 59) that in 1847 his father 'was principal of the Salford and Manchester New-Church day school and leader of the Haslingden New Church Society'. However, in the records of the General Conference of the New Church there is no reference at all to his holding either post  or any other: and yet he was at Manchester at the time and in 1847 published his first book, How are Worlds made? Being a New System of Cosmogonical Philosophy, at Haslingden. He next appears, according to himself, as a civil engineer engaged in a coastal survey of Northern Ireland12. After this he emigrated to America, appearing in New York in 1855 to act as associate editor of the New York Evening Post and to become 'one of the pioneers in the construction of the Illinois Central Railroad' ('Obituary', p. 59). Also in New York he lost his first wife, Ellen, who died on 11 July 1857, and found his true vocation, for on March 9th, 1856, he was ordained a minister of the New Church, by the Rev. B. F Barrett' ('Obituary', p. 59). His relations with the Church were, however, destined to be equivocal. There were irregularities surrounding his ordination and a Committee set up by its governing body recommended that 'the motion to receive Mr. Beswick into the Convention in the degree of his ordination ought not to prevail'13. This did not prevent his acting as a lay preacher and fund-raiser for the New York church building. At the subsequent laying of the corner-stone, on 1 July 1858, Beswick gave an address on the symbolism of the ceremony, in which his enthusiasm for illustrating moral principles by way of symbols is readily apparent. From New York he moved to Westport in Connecticut where on Christmas Day, 1862 he married Harriet Grafton Taylor. He continued to preach in New York but by l866 had left under something of a cloud, having been accused of plagiarizing the sermons of Dr. Channing, the Unitarian Preacher, and of lifting the ideas of others for some of his earlier papers on scientific topics. Beswicks vehement denials  'my ideas are too original generally for me to go to Channing for assistance'; and 'I am not indebted to a single man, living or dead... for a single idea or suggestion... in my papers on Astronomy & Magnetism'  were not matched by steadfast action, and because he was 'of a retiring sensitive temperament' and hurt at being so unjustly used by a single malicious slander' he 'retired from the Church with pain and disgust'14. falsehood in stating that he had been in Jerusalem and had made important discoveries there, while, in fact, he was all the time, except during short intervals, in this country; and that ... instead of defending his good name against the imputations thus cast upon it, resigned his connection with that Association'15. He was also suspended as a minister of the Church although he remained at Strathroy to edit the local newspaper until 1886. Subsequently Beswick moved to Tyrone, in Pennsylvania, to act as editor of the Tyrone Daily Herald until 1890 when he retired to Hollidaysburg in the same State. The vicissitudes of his life had failed to daunt him, for with brazen effrontery he spent his final years recycling his lecture on the Temples to 'pretty large audiences and enthusiastic ones'16. He died at Hollidaysburg on 5th June 1903. So much for Beswick the man; we must now consider his book  and his masonic career, for which we are almost entirely dependent, as with so much in his life, on his own statements. There is no firm evidence of his initiation in either England or the United States of America. By his own account he 'Got his masonic degrees in a Lodge of Swedes in England and affiliated in Canada in Beavers Lodge'17. It is just possible that this Canadian lodge was Beaver No. 234 at Thornbury, Ont., but this small town is some 100 miles distant from Strathroy and there is nothing to indicate that Beswick ever had any reason to go there. Whatever the truth of his shadowy initiation the text of his book makes it clear that Beswick was familiar with standard masonic literature and with the Craft ceremonies. The Grand Lodge of New York, however, was not familiar with him: there is no entry for a Samuel Beswick in the Register card files up to 1853, nor in the post-1853 index volume. It is thus certain that he was not initiated, passed or raised by, nor affiliated with, any lodge under that jurisdiction. His only masonic activity in New York about which we can be certain was within his own invention: The Primitive and Original Rite of Symbolic Freemasonry. The first recorded reference to this body is in Beswicks book of 1870, Swedenborg Rite and the Great Masonic Leaders of the Eighteenth Century, or, as on the cover, Swedenborg and Phremasonry. The bulk of the book purports to show, by a judicious manipulation of sources and the use of specious reasoning, that Swedenborg had indeed been a freemason and that many of the 'hauts grades' of the later eighteenth century were heavily influenced by Swedenborg and his theology. And then, towards the end of the text, comes the startling announcement that the Swedenborgian Rite had been revived in America. What casts considerable discredit upon Mr. Beswicks book is the specimen he gives of the instructions which characterize the New York Swedenborgian Rite19. two ancient words, Phre or Pi-re, The Light, and Mason, to search, or feel for blindly ... Our ancient brethren meant by this significant title, that a Phre-mason is a poor blind candidate, or one in darkness, who is feeling his way in search of light'20. For the reviewer, 'a more utterly preposterous and absurd etymology was never invented'. and, he concludes, 'If the teachings of the European Swedenborgian lodges were of this fantastic character, it is no wonder that they came to be regarded as ridiculous'. Even that, however, was presumably better than not being regarded at all. In the year 1859, a number of Swedenborgians who had taken the higher degrees were initiated into the Swedenborgian degrees. A Lodge, called Menei Temple No. 1, was organized and began work, Feb., 1859, in the old Kane Lodge Room, Broadway, New York City. From thence it was removed to the Egyptian Room, Odd Fellows' Hall. and worked from May, 1861 - 1862. A few meetings were subsequently held in the Montauk Lodge Room, Brooklyn, Long Island. Some of the leading Masons of New York have had the degrees conferred on them by communication: indeed, but few of the members have seen the degrees worked in full. Applications for admission have come from every quarter of the American continent, and there can be no doubt that the Swedenborgian Rite is destined, in a few years, to spread itself over the continent of America, north, south, east, and west. if its leaders do nothing to restrain it21. This is not quite how Beswicks masonic contemporaries saw the Rite. If I had seen Brother Beswicks book, before I last met him, it would have doubtless changed my conservative views in relation to his, as I supposed, proposed 'Rite of Swedenborg', in which he desired me to take part; but I declined, thinking that it was impossible for him to have the means of being possessed of the genuine 'Rite of Swedenborg', but from his book one would be led to a different view, although apparently written and published to promote or exploit his proposed introduction of the Rite of Swedenborg in America22. The Masonic publishers here say it is of more value than all the historic books on Masonry either American or German. And they have placed the Masonic Encyclopaedia into my hands for revision in relation to all the masonic organisations of the eighteenth century23. Presumably it did not remain in his hands, for no edition of any American or English masonic work of reference shows any sign of Beswicks involvement. I would like to know how we can secure a favourable, or at least an unprejudiced review on the part of the work in the N[ew] J[erusalem] Magazine. Can you ensure it? Will you undertake it if I send you a copy of the work for review? But, as we have seen, such reviews as did appear were not exactly what he had hoped for. I saw Albert Pike, the Great Masonic Mogul of the 33°, last week at the Masonic publishers rooms. He speaks highly of the work, and begs to receive the degrees of the Swedenborg Rite. I have promised to give him them in May next. Our Nabobs all speak highly of the Rite, so far as they know it. Our present Grand Secretary of Blue Masonry, of N.Y. State, took the degrees by dispensation. So did Robert Macoy, Dan Sickels and John Sheville, all 33° men, and within a few weeks of each other. These high Masons care but little for the whole ceremony, so I initiated them by putting the three degrees of our Order into the form of a Lecture, and giving them the signs, words, grips, etc. at successive stages of the ceremony24. As with the Pike episode this is probably pure invention on Beswicks part, but the Rite did have a few real members at this time, two of whom Beswick mentioned in a subsequent letter to Stuart. Our Symbolic Temples would bring in a goodly number from the ranks of the pure Gentiles, and they would be so far superior to the Symbolic Lodges of the present day that we could get as many candidates as we choose to admit. As it turned out no candidates at all were admitted, for no further Temples were established and Menei Temple passed away: 'we worked it as a common Lodge ourselves, then left it in the hands of others, and from others made our Grand Lodge of the State of New York'26. This first Grand Lodge of the Swedenborgian Rite had only a brief existence and its only recorded formal act was on 3 June 1872, when it issued a charter for a Supreme Grand Lodge and Temple for the Dominion of Canada27. The charter was signed by Beswick as Supreme Grand Master, by C. S. Westcott as Supreme Grand Senior Warden. and by O. N. C. Schach as Supreme Grand Junior Warden. We can thus be certain that in the real world the Swedenborgian Rite had at least six members in the United States of America although five of them were active for no more than two years. When Beswick moved to Strathroy in 1876 his Rite had been established in Canada for more than three years. The first approach to Beswick had been made early in 1872  although whether by Longley or by Col. McLeod Moore is not clear  resulting in the charter of 3 June, but there had been only ten petitioners whereas Beswick insisted on twelve Charter Members each of whom was to pay him $20 (for the names, see the Appendix). Thus the Grand Lodge and Temple of Canada, with its headquarters at Maitland, Ontario, was not finally set up until 1873. The three principal officers, who retained their ranks ad vitam, were William James Bury McLeod Moore, M.W. Supreme Grand Master: Thomas Douglas Harington, R.W. Supreme Grand Senior Warden; and George Canning Longley, R.W. Supreme Grand Junior Warden. All three were active in almost every masonic degree that was worked in Canada, but whether they were ever active, in any meaningful sense of the word, in the Swedenborgian Rite is another matter28. With its twelve petitioners the Canadian Grand Lodge and Temple was twice the size of the Grand Lodge of New York but no record survives of any working of the degrees of the Rite by the solitary Lodge, Sphynx Lodge and Temple No. 1, that was founded at Maitland. Even so the Grand Lodge seems to have survived, on paper, for at least ten years: on 25th June 1883 C. M. Moriou wrote to McLeod Moore asking that the Canadian body recognise the regularity of the newly established Grand Lodge and Temple of Roumania29. This they presumably did and the Swedenborgian Rite continued to exist in Canada, if not to act, for a further seven years until 1890 when McLeod Moore died. From 1891 onwards no reference to it appears on the official Balustres of the Rite. If the Canadian members had expected Beswick to work the degrees when he moved to Canada they were doomed to disappointment. He retained the rank of 'Past Grand Master of the Grand Lodge and Temple of the Swedenborgian Rite of the U.S.A.'  he is so described in 1883 in a report of the Sovereign Sanctuary for Canada of the Antient and Primitive Rite, of which he was then Grand Master of Ceremonies'30.  but he held no office in the Canadian body and played no part in the one significant act that the Grand Lodge and Temple of Canada did perform. George Longley was subordinate to his fellow rulers of the Grand Lodge and Temple in most other masonic bodies also, with one significant exception: in the Antient and Primitive Rite Longley was Grand Master ad vitam of the Sovereign Sanctuary for Canada from its foundation in December 1882 to his death on 23 February 1885. Earlier, in February 1876, he had been active in importing the Antient and Primitive Rite from the U.S.A. and in August of that year he had acquired The Supreme Rite of Memphis and The Reformed Egyptian Rite from their respective Sovereign Sanctuaries for Great Britain and Ireland  more specifically, from their Sovereign Grand Master, John Yarker31. Charters for these bodies were granted by Yarker, much in the manner of a schoolboy swapping cigarette cards, in exchange for something he did not possess: a charter for the Swedenborgian Rite. The charter sent to Yarker was dated 1 July 1876, but he had clearly been engaged in correspondence for some months before then; probably he had become aware of the Rites existence in Canada as a consequence of his involvement with the Antient and Primitive Rite, which was by the 1870s, primarily American. (The Sovereign Sanctuary for Great Britain and Ireland had been constituted on 8th October 1872; it remained on generally good terms with its American parent). a warrant for a lodge and temple of the Swedenborgian Rite, styled Emmanuel Lodge and Temple, No. 3, to confer the degrees of Enlightened, Sublime, and Perfect Phremason upon lawful Master Masons. The lodge and temple consist at present of only four members, but if any of your readers would like to enter the Rite they can do so by sending their names and the fee of £1 to Bro. S. P. Leather, Burnley, Lancashire, the J.W. of said body. We pay the Supreme Grand Lodge and Temple of the Dominion of Canada £5 5s. for our warrant and ritual. This is a fair summary of the text of the warrant, a contemporary copy of which is preserved in the library of the United Grand Lodge of England. have been pleased to grant a charter for a Supreme Grand Lodge and Temple for Great Britain and Ireland, of the Swedenborgian Rite, a ritual which seems to give great pleasure to Masonic Archaeologists. The report further noted that 'Ill. Bro. John Yarker has been appointed Supreme G.M., but has signified his intention of resigning the same into the hands of Ill. Bro. F. G. Irwin, S.G.S.W. ', who was also to be W.M. of Emmanuel Lodge which 'will shortly be transferred to Bristol'. I have not intimated to Col. Moore my acceptance of the Gd. Mr.ship of the order  nor do I think I will do so  I should like to see it attached to one of the existing orders. Tis a beautiful degree elucidating the craft degrees in a marvellous manner. My Ritual extends over 212 pages of closely written sermon paper. You must please yourself about joining. I am to have the Canadian warrant  which will be called the premier Temple of our English order. If you would care to go in for working it then indeed I should be glad to have you, for I would appoint you Master and as such your name would appear in the Grand Warrant, and as a Grand officer32. Westcott duly took the carrot, and, as we shall see, the Rite was for him a source of 'great pleasure'. There were others, however, for whom it was not. Mr. Yarker is a person who has been expelled from the Ant. & Accepted Rite in England for gross unmasonic conduct (as notified to all Chapters some 5 years since) and that Mr. S. P. Leather only avoided a similar fate by previous resignation33. I trust you will forgive my submitting for your serious consideration also  whether Brethren belonging to the S. Council 33° of Canada can be justified in endeavouring to plant any new Rite whatever in this country  and this even without advising their Mother S. Council of their intentions. We can readily understand that had you both been aware of Mr. Yarkers real character and past conduct, you would never have patronised him.... I quite agree with you that some explanation is requisite from Bro. Longley as to his part in the matter  and it is due not only to me, but equally, I think, to yourself34. After this exchange Harington and McLeod Moore kept their distance from Yarker and links between the Canadian and English bodies became tenuous. For his part Yarker moved at once to minimise any risk to his new baby. Some misapprehension having got afloat, it was considered desirable to state that although this rite had leading members in various rites, yet it was quite independent and interfered with no other rite whatever, but was a neutral ground to which all M.M.s, but especially P.M.s, were eligible. I was astonished to see my name inserted as a Grand Officer swedenborgian Rite' I am afraid I was not sufficiently emphatic in my note of 30th November declining the appointment, but my connexion with the A. & A. Rite would alone preclude the possibility of my accepting the position & I am afraid my note which was intended as a courteous refusal of your offer has placed me in an awkward predicament ... I cannot accept this position  have to request you at once to cause my name to be excised from your list35. John Yarker, M.W. Supreme G.M. F. G. Irwin, R.W. Supreme S.G.W. C. Scott, R.W. Supreme J.G.W. Benjamin Cox, V.W. Supreme Assistant Grand Pursuivant. At this stage these eleven brethren apparently comprised the entire membership, but more were soon recruited  which was just as well since, in theory, the Rite already possessed three Lodges. The first two Lodges (strictly speaking they were styled 'Lodge and Temple', but for convenience I shall describe them simply as Lodges), Emmanuel No. 1 and Egyptian No. 2, were warranted on 13 January 1877, while the third Lodge, St. Johns No. 3, did not receive its warrant until 6 February. They were to meet, respectively, at Bristol, Manchester and Baildon (near Shipley in Yorkshire). Six other Lodges were warranted in rapid succession during the same year: Swedenborg No. 4, at Havant (6 April); Edina No. 5, at Edinburgh (5 June): Liverpool No. 6, at Liverpool (15 June); Cagliostro No. 7, at Bristol (16 June); Hermes No. 8, at London (13 August); and Royal Oscar No. 9, at Liverpool (21 November). This rapid expansion of the Swedenborgian Rite was duly recorded in the pages of The Freemason (see, e.g. issues of 25 August and 15 December 1877), but the Lodges met with mixed fortunes. Thus Royal Oscar Lodge No. 9, 'named in honour of H.M. the King of Sweden', 'would especially welcome Swedish brethren'  the more so after advising readers of The Freemason, through a misprint, that 'many Scottish brethren are expected to join it' (15 December 1877). As it turned out neither Swedes nor Scots flocked to join, any more than either nationality rushed to support Edina Lodge No. 5 at Edinburgh. In 1880 Royal Oscar had declined to such an extent that it united with Liverpool No. 6 to form 'Liverpool Royal Oscar Lodge 6 and 9'. I cannot see how we can work the [ceremony] at our first meeting for no one will have any knowledge of ritual work except you & me. What would you advise  to constitute the Lodge, then obligate those brethren who wish to join, and afterwards furnish each officer with that portion of the Ritual belonging to his particular office. Then to work it properly at future Temple meetings. This is, admittedly, a problem not unknown in some of the somewhat better known additional degrees, but in the case of the Swedenborgian Rite it was exacerbated by the non-existence of printed rituals and the extreme scarcity of manuscript copies. The one copy in the Western District  Irwins  was borrowed first by Cox, who returned it in March 1877, and then by Westcott, who had been trying to 'get hold of a Ritual of Sweden' for some months. The first meeting of Emmanuel Lodge at which any members were actually present took place on 20 May 1877, not at Bristol but at Weston-super-Mare in Somerset. From the summons for this meeting it appears that the principal business was to initiate Dr. Francis Woodforde, who was Junior Warden designate; seven named brethren plus un-named 'others' who were to form the membership of the Lodge; and, 'W. Bro. George F. Tuckey, P.M., together with a number of other distinguished Brethren of Bristol and Gloucestershire, for the purpose of forming a Lodge and Temple in the Province of Bristol'. Tuckey, however, did not stay the course. Cagliostro Lodge No. 7 was warranted in June 1877 but there is no record of its working (indeed, no Minute Books survive for any of the Lodges). If it was inactive this was clearly typical of the Rite as a whole. Kenneth Mackenzie, who was just as eager a propagator of obscure Rites and degrees as was Yarker, worked hard as Supreme Grand Secretary, but it was evidently a thankless task. He wrote to Irwin on 6 November 1877, complaining about the laxity of members; 'I am sadly afraid', he wrote, swedenborg Rite is getting on very badly'. Matters did not improve. He wrote again to Irwin on 6th April 1878, noting that 'the Swedenborg Rite ... seems to hang fire terribly. I have heard nothing from anyone since December when the Royal Oscar Lodge was formed'. More to the point, it was costing him money: 'I am now actually paying all general expenses of printing and postage &c out of my own pocket'. About Tuckey he became particularly exercised  especially as Tuckey was in his debt. A manuscript ritual for the use of Cagliostro Lodge had been sent to Tuckey in June 1877 but he had neither acknowledged its receipt nor paid for it. After a year had gone by Mackenzie complained that 'I was never so treated by anyone in my life and I cannot but feel very much hurt' (Letter of 29 June 1878) When Irwin himself offered to settle the bill, Mackenzie was indignant: 'For you to pay for it is monstrous, for if Bro. Tuckey is not fair to one Bro. he will not be fair to another' (Letter of 2 July 1878). To a large extent the affair was Mackenzies own fault; he was querulous to a fault and his letters were often vituperative  indeed it was their tone that drove Tuckey out of the Rite. Irwins offer represented diplomacy rather than generosity for he had already received everything due from Cagliostro Lodge  together with Tuckeys resignation, given in a letter (17 June 1878) loaded with irony. As to the Rite, 'I am satisfied', Tuckey wrote, 'that under his able management it will never be a success ... I tell you honestly and candidly I never intended replying to any communication from Flint Villas [Mackenzies home at Hounslow] after the courteous style adopted by Bro. M in one of his characteristic epistles'. He enclosed what was due to the Supreme Grand Lodge, 'and with this', he added, 'I beg to close my connection with the Swedenborgian Rite'. Mackenzie may have alienated members with whom he had dealings, but he did make strenuous efforts to promote the Rite. He arranged for the printing of the Fundamental Constitutions of the Rite, a small pamphlet of twenty pages, in August 1877 and oversaw the production of all the Balustres (Directories) of the Rite until his death in 1886. He also acted as publicist, defending the Rite in the columns of The Freemason, and providing an article about it, 'The Swedenborgian Rite: otherwise known as the Primitive and Original Rite of Freemasonry', for The Rosicrucian and Masonic Record, (New Series, No. 10, April 1878, pp. 414 - 419) and thus bringing it to the attention of such members of the S.R.I.A. who had not already joined. And when Yarkers journal, The Kneph began its erratic career in 1881, Mackenzie ensured that the Swedenborgian Rite was regularly brought to the notice of its readers. Nor did he neglect his own Royal Masonic Cyclopaedia (1877) in which he says of the Rite, 'It is difficult to describe its ceremonies, but it is interesting and perfect in its symbolism'. None of this, however, brought in many recruits. There was some expansion after 1877: Britannia Lodge No. 10, at Sheffield (17 April 1879); St. Hilda Lodge No. 12, at Lofthouse in Cleveland (9 December 1879); and even a Lodge of Instruction: Pythagorean No. 11, at London (1 November 1879), but the Rite slowly ground to a halt. Administering it from two centres  Manchester and London  had always proven difficult, and members chafed over simple things, such as delays in obtaining both rituals and regalia (Mackenzie was still hunting for suitable materials in August 1877). Late in 1876 Yarker had received from Canada a drawing of the breast jewel (described in the Fundamental Constitutions as 'The central part a carbuncle, set and radiated with gold in the form of a sun, with the name of the Deity upon the face of the carbuncle in Hebrew letters in gold. Above, from a bar, are the compasses, and the suspender has the name and rank of the wearer engraved. In America, suspended from the sun is a porchway approached by three steps of gold, a division in the center, the porch and division being formed of triangular dropping links of red, blue, and green stones'), but both he and Irwin found difficulty in having it made. The jewels were eventually manufactured: probably at first by Edward Stillwell & Son of London, who advertised regularly in The Kneph, and later by P. Vaughton & Sons of Birmingham, who sent a sample jewel to Irwin in 1891. The only known surviving breast jewel was made, at an unknown date, by George Kenning but there is  surprisingly, for he was a member of Hermes Lodge  no reference to the Rite and its regalia in any of Kennings catalogues36. There was also difficulty in obtaining suitable aprons (of white lambskin with a triangular flap; these had narrow borders, variously blue, blue and silver, blue and gold, and purple and gold), but presumably they were manufactured although none are known to have survived. Mackenzies irascibility, and difficulties over regalia were not the only problems that the Rite faced. It had no financial reserves on which to call: in 1881 Yarker reported that 'the entire receipts of the Society amount to £73.12.9 in fees and dues' and that although the Rite had no debts, 'there are no funds in hand (with the exception of a trifle, £2.17.8, which has been handed to the Supreme Grand Secretary for postages and petty expenses'37. Promoting the Rite had thus still to be done at the expense of the Grand Officers, who were also proving to be sadly mortal. The Supreme Grand Treasurer, S. P. Leather, had resigned because of ill-health at the end of 1880, while Charles Scott, the Supreme Junior Grand Warden, had died shortly afterwards, thus placing an enormous burden on Yarkers shoulders. But by the end of 1881 Mackenzie had all unknowingly found a solution. He had received a request to join the Swedenborgian Rite from Bro. C. Monck Wilson, of Limerick in Ireland, and wrote to Yarker about him (14 December 1881). 'We have no Lodge in Ireland and no representative since Capt. Scott died' (he had lived at Omagh), he wrote, 'What do you advise? I do not know how to act'. Yarker, however, did know. By August 1882 Morrell Wilson had been appointed Grand Treasurer General of the Rite, and four years later he was installed as W.M. of Eri Lodge No. 13, at Limerick (warranted 18 December 1886). This expansion into Ireland followed other adventures abroad. Earlier in 1881 Mackenzie had sent to a Bro. Hale in Colorado, in stages as he completed it, a manuscript ritual of the Swedenborgian Rite. 'He is much pleased', he wrote to Yarker (28 April 1881), adding that, 'He is aware of the Canadian Grand Lodge but prefers being governed from England at present, although when they get some [Lodges] they will most probably wish to be independent'. It is a pity that nothing came of Bro. Hales interest; it would have been a splendid irony for the English Supreme Grand Lodge to have chartered a similar body in America. What did prosper was a later foray into Europe. Freemasonry had come late to Roumania, arriving by way of the Grand Orient of France in 1859, but 'it lost no time in acquiring every possible grade and rite that Masonic inventors could supply'38. In 1881 a Sovereign Sanctuary of the Rites of Memphis and Mizraim was constituted, thus giving Yarker an opportunity for some carpet-bagging. He opened negotiations with the Grand Master, Constantine Moriou, and on 22 March 1883 a charter was issued for the Sovereign Grand Lodge and Temple of the Primitive and Original Rite of Phremasonry or Swedenborgian Rite in and for the Kingdom of Roumania. (The original petition for the charter, with sixteen signatures, is in the library of UGLE). Such successes abroad were matched however, by increasing failure at home. Yarker was gradually losing interest in the Rite and it was meeting increasing hostility from the Craft. In 1882 the Grand Lodge of Massachusetts took action against spurious Rites and Degrees and Irregular Bodies (called Masonic)', inviting comments from masonic authorities in support of its action. W. J. Hughan wrote to that Grand Lodge setting out the position of the British Grand Lodges. He concluded his letter by savaging Yarkers cluster of Rites: 'As to the "Swedenborgian Rite," the "Rite of Memphis," and the "Ancient and Primitive Rite," and other absurd and pernicious organisations, I wish they were all decently buried'39. This was bad enough, but a more telling attack was made much closer to home in the form of a letter to The Freemason. further than that of having had the rituals furnished to me some years ago, on payment of a guinea registration fee to a lodge of the Order at Sheffield. The rituals, I may add, are the veriest twaddle, and the guinea was the worst spent money I ever disbursed. What made this letter more damaging was that Whytehead was a prominent member of the SRIA (he was Chief Adept for Yorkshire) and his opposition helped to cut off the potential supply of members from within that society. I want to form a Lodge in London entirely composed of Sp[irituali]sts, & to seek for communion with the world of spirit thro' the solemn ritual of the Swed. Rite. I am afraid I shall not do it: but I want badly to try. disposed to sever [my connection], both because I find no benefit whatever from either, & because I see no object in multiplying these orders uselessly, & where no work is done. Irwin was probably more relieved than sorry at his departure. The founding of Eri Lodge was effectively the last gasp of the first phase of the Rites progress in the United Kingdom. Its revival was due to the restlessness of the third great disseminator of degrees in late Victorian England: William Wynn Westcott. His fame, such as it is, depends on his occult activities rather than on his masonic doings, but, as we shall see, the Swedenborgian Rite played a crucial role in his life. By 1885 Westcott was eager to breathe new life into the Rite and inserted a letter in The Kneph (Vol. 5, No. 41, February 1885, p. 10) lamenting the fact that, 'For some unknown cause the Lodges do not now carry on the working'. He suggested that there should be an Annual Meeting, 'an assemblage of the whole Order', 'in London or in some central situation', in order 'to receive candidates, and use the ceremonies.' It would, he felt, 'be a great misfortune to let the order lapse into obscurity.' He continued to press Yarker in the same vein, and when Mackenzie was dying, in June 1886, Westcott wrote to Yarker (17 June 1886), offering to 'act as Grand Secretary and make an effort to revive the order of Swedenborg, of which I have some years been a Warden'. At this time he was, by a curious coincidence, living in London at 4 Torriano Avenue, Camden Road  the former home of a Mr. Knight, one of the founders of the New Church Theological College. Mackenzie died on 3 July 1886, and with appalling insensitivity Westcott pestered his widow almost immediately for all the effects of the late Supreme Grand Secretary. When he had obtained from her some 14 packets of Constitutions, the warrants of Pythagoras and Hermes Lodges, Declaration Books, a Minute Book, various seals and a press for their use, together with some loose papers'  the manuscript rituals of the Rite did not come to him until he purchased them from Mrs. Mackenzies second husband, George Parratt, in 1908  he set about the business of revival. There was no immediate rush of new candidates but the Balustres of the Rite from 1887 to 1908 all show the presence of some, if not all, of the requisite officers in each of the Lodges. While Westcott busied himself in his new role as Supreme Grand Secretary, Yarker remained in overall charge and was still occasionally admitting candidates to Egyptian Lodge: his son, John L. Yarker, and his friend Richard Higham, on 31 January 1887: and Sholto Henry Hare in 1895. Westcotts candidates, whom he admitted to Hermes Lodge, were rather less mundane: Samuel Liddell Macgregor Mathers appears as J.W. in 1887; by 1901 he had admitted Gerard Encausse ('Papus', the French occultist)  and established INRI Lodge No. 14, at Paris; and on 1 September 1902 he admitted A. E. Waite. All three had one thing in common: they were members of the Hermetic Order of the Golden Dawn. Westcott was also keen on further foreign expansion with the aid of continental occultists. The presence of such characters was not new  Col. H. S. Olcott and Charles Sotheran, founding members of the Theosophical Society, had been representatives of the Rite in Bombay and New York respectively, since 1880; what is curious about them, and about George Fort, the representative in New Jersey, is that they had been quite unaware of Beswick when he was creating and, in theory, working the Rite in the 1870s. With Papus under his belt, and with his journal, l'Initiation, now an official organ of the Rite, Westcott began to look to the other major European country: Germany. His gaze fell on a degree-monger in the same class as Yarker: Theodor Reuss40. I fear I am in for a pretty quarrel between you and your German friends. I am likely to be, like the wheat, ground between the upper & lower millstones. For this and for other reasons he was becoming disenchanted with the Rite; it was, he told Reuss, 'never popular here, & I recommended the Soc. Ros. instead of it.' It would seem that the Swedenborgian Rite was part of a package deal with Reuss: in exchange for the Rite, and a German College of the SRIA, Westcott received membership of the Order of Illuminati and the right to propagate it in England. In 1908, the last year for which a Balustre of the Rite is known, Westcott is still shown as Supreme Grand Secretary  and as Supreme Grand Past Master  but he had ceased from active participation. His careful 'Index to Correspondence with Swedenborg Brethren and Herr Theodor Reuss' that he began in July 1901, ends abruptly in October 1903. From Yarker there is only silence up to his death in 1913. All that remained for the Swedenborgian Rite was to be scooped up by Waite as a part of his ambitious, but ultimately unrealised, project for a secret Council of Rites'. Perhaps it was appropriate for a Rite created by a fantasist to end in the dream-world of a mystic. There remains, however, the question of the purpose of the Swedenborgian Rite. The ritual of the Swedenborgian Rite is inordinately long, (even Mackenzie accepted that it was 'of extreme length'"), tedious and largely uninspiring, and yet the Rite itself survived for a far longer period than did the great majority of other 'Fringe' degrees. Something about the ritual clearly caught the imagination of the active members of the Rite. Those who wish to read the ritual in the hope of emulating them will have no difficulty in finding it; manuscript and typescript copies of the ritual can be found in the libraries of UGLE and of the Grand Lodge of Massachusetts, while a typescript copy made by Waite is in the High Council Library of the SRIA. There is also a printed version in Vol. 1 of Collectanea, somewhat inaccurately transcribed by Harold Voorhis in 1938. The main objects of our temples should be to make them schools for teaching symbolism and correspondences, which we can better do in such schools than from our pulpits. The dramatic form of representation is in every respect better suited for teaching than dry exposition. The pictorial system has ever been... the most impressive and effectual, because combining the teaching of the senses at the same time as it appeals to the understanding. Thus by one act, and at the same moment of time, the dramatic and pictorial or symbolic system impresses the inmost and outermost faculties of the mind with knowledge of the subjects presented: a result which cannot be attained by logical methods alone43. The emphasis on Temples is explained in his book, where Beswick sets out the difference between the Lodge and Temple of the Rite: all non-ritual business, from minutes and elections to 'examination of a candidates proficiency' is conducted in the Lodge, while in the Temple, 'nothing but the actual Ritual work is done' (p. 170). He goes on to give a ponderous and diffuse account of the rituals themselves, but there is a much clearer and briefer description in Waites Secret Tradition in Freemasonry. (1911, Vol. 2, pp. 234 - 235). In the Grade which is equivalent to that of Entered Apprentice [i.e. Enlightened Phremason, or Green Brother], the Candidate is informed that he stands at the threshold of the Garden of Eden and the place of the Tree of Life. The proposal, however is to build a Temple, in which an important part is assigned to him who is received.... In connection with this ... the Ritual is said to consist of six labours, terminating in the symbolic introduction of our race into its future dwelling-place. which is seemingly the Ur-home, the place of the River of Life and the Tree of Life. The corner-stone of the building is faith in God. The 2nd Grade [of Sublime Phremason, or Blue Brother] is singularly involved. for (a) the Candidate is said to be in Masonic darkness, and at the same time (b) in search of greater light, which is pure paradox. He is supposed to receive the light and to enter the Temple, which is called that of the Creator... At a later stage the plans of the building are presented to the Candidate and it is then described as (a) Gods Temple in Nature, and (b) a symbol of the moral Temple that is within. The East is goodness rising into life; the West is goodness setting into death; the South is truth ie. light; the North is truth in oblivion... It is ... the story of earthly life and the story of the soul... The Temple, finally, represents the Garden of God. because of its very curious, but withal bizarre, analogies with its marvellous prototype in the Craft. The Candidate is pledged to keep secret the Ineffable Name of God, and in this connection a certain communication is made to him. There was one further aspect that Beswick sought to introduce but that was clearly absent from the English lodges. 'The Symbolic Temples' he wrote to Stuart (3 May 1871), 'could be filled with symbolic representations  its walls floors &c, appealing to the eye, which would be out of place in our chapels.' Further consideration of the merits of his ideas is not appropriate in an historical research paper, but one curious parallel does deserve to be noted. Westcott could never have read Beswicks correspondence, and yet he created  outside the confines of the Swedenborgian Rite  just such a Temple 'filled with symbolic representations' as Beswick postulates. There is a singular irony in the manner in which it came about. To anyone who has a knowledge of Westcotts character there are remarkable parallels between him and Beswick. Both men injected fantastic elements into the story of their lives; each of them created a Rite (an Order in Westcotts case), with a mendacious pedigree; and both were desperately anxious to convey to their members an understanding of hidden truths. There was also another, purely accidental link between them. When Westcott collected Mackenzies Swedenborgian Rite papers from his widow, he also took some 'loose papers'  which were nothing to do with the Rite but were Mackenzies outline draft of a series of esoteric intitiation ceremonies. They were written in a cipher derived from Trithemiuss Polycraphiae, and Westcott soon translated them, making use of the blank versos of Swedenborgian Rite summonses. They are better known as the Cipher Manuscripts that led to the fiction of German Adepts and to the undisputed fact of the Hermetic Order of the Golden Dawn that Westcott unleashed upon the world in 1888. In their fully developed form the ceremonies of the Order make full and effective use of a Temple 'filled with symbolic representations.' It is an ironic twist of fate that Westcotts enthusiasm for an obscure, utterly forgotten, yet wholly respectable masonic Rite led by chance to his creation of a magical Order more widely written about, more widely imitated, and more widely condemned than any other. It is an irony that Beswick, rejected by his Church and ignored by the Craft, would have enjoyed. I am especially grateful to Bro. John Hamill, Librarian and Curator of the Library and Museum of the United Grand Lodge of England, and to his assistant Bro. J. F. Ashby, for their help in unearthing the correspondence of Irwin, Mackenzie et al. and other documents relating to the Swedenborgian Rite. To Bro. John Mandleberg I am indebted for drawing my attention to the letters from Shadwell Clerke, and to the Supreme Council 33° of the Ancient & Accepted Rite for England and Wales for granting permission to quote from them. Bro. Robert Zoller of New York was extraordinarily active on my behalf in obtaining the letters of Beswick and the details of his life from the authorities of the New Church in America. I am also grateful to the staff of the Chancellor Robert R. Livingston Library of the Grand Lodge of New York, and to Bro. S. Brent Morris for their help over Beswicks masonic career. For details of Beswicks life in England, and for material on Swedenborg, I am indebted to the Revd Ian Arnold, Principal of the New Church College at Manchester, and to the staff of the Swedenborg Society in London. My greatest debt, however, is unquestionably to the late Bro. Ellic Howe who first started the hare of the Fringe Degrees and set me to follow it. Le Blanc, John G. A.
Longley, George C. MacLeod Moore, William J. B. Lemon, Rev. Thomas W. Lockwood, W. G.